The Elliot Brown Ocean Sprint is in full swing on day 5 of Race 4: The ClipperTelemed+ Tasman Test, and the racing remains as close as ever. Qingdao has continued its incredible rise in the rankings, with the team now in in the lead, despite sitting in last place just three days ago. But with just 32 nautical miles separating first from seventh, Qingdao Skipper Chris Kobusch says: “Since the start of the Elliot Brown Ocean Sprint, we really have been sprinting. “It is absolute champagne sailing and with Garmin and Visit Seattle in AIS range, everyone is on their toes trying to make the boat go as fast as possible. The last three position reports were great for us, indicating we had top average speeds within the fleet over the past 18 hours. Visit Seattle remains in second place for the third consecutive day and just like her Qingdao counterpart, Skipper Nikki Henderson is keeping a watchful eye on the competition as the eastern gate of the Elliot Brown Ocean Sprint draws closer, reporting: “This is definitely the closest sprinting we have ever done. “I’d like to say it will be a relief when the Elliot Brown Ocean Sprint is over, but the reality is that we will continue sprinting all the way to our next waypoint ‚Mitchell‘ down the bottom of Tazzi and then onwards as it’s likely we will all sail together all the way there. A tear in the Code 2 Spinnaker saw the fifth placed Unicef lose some ground on Sanya Serenity Coast, though the team led by Bob Beggs still has small buffer of 12 nautical miles on HotelPlanner.com and GREAT Britain, who are neck and neck, locked in a tight battle for sixth. 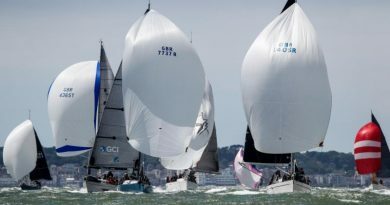 HotelPlanner.com, who won the Elliot Brown Ocean Sprint in Race 3, currently has the edge by less than one nautical mile, and Skipper Conall Morrison says: “The wind has veered around from southwest to west bringing warmer and more stable air with it. Liverpool 2018 is still in eighth and is under white sails after damaging its Code 3 Spinnaker. Despite the setback, Liverpool 2018 remains in front of Dare To Lead, who is waiting for the conditions to shift, as Skipper Dale Smyth explains: “We had a quick night under white sails and then this morning, the wind dropped and veered sufficiently to start flying spinnakers again. Nasdaq is right on Dare To Lead’s heels in tenth, whilst PSP Logistics remains in eleventh place. 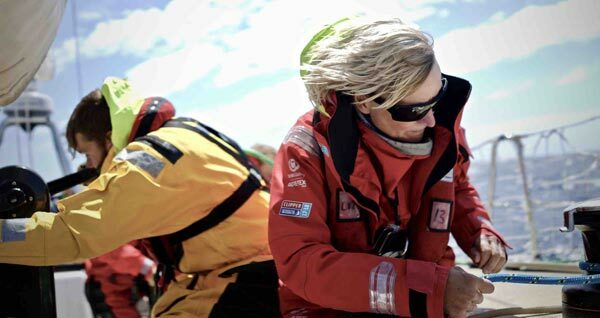 PSP Logistics is persisting with the southerly route, though Skipper Matt Mitchell is starting to doubt his decision, saying: “We’ve had a set back over the last few hours, with the breeze easing and veering ahead of a front that is due to pass over us later today. “This is costing us hard won miles against the fleet as well as meaning our Elliot Brown Ocean Sprint is turning into a bit of an ocean meander. Such is ocean racing though and when the wind does fill in, it should do so with a vengeance meaning more high boat speeds. Stay tuned to the Clipper Race Viewer, with its hourly position updates, to see how the changing weather conditions will affect the fleet. All positions were correct at time of publishing.